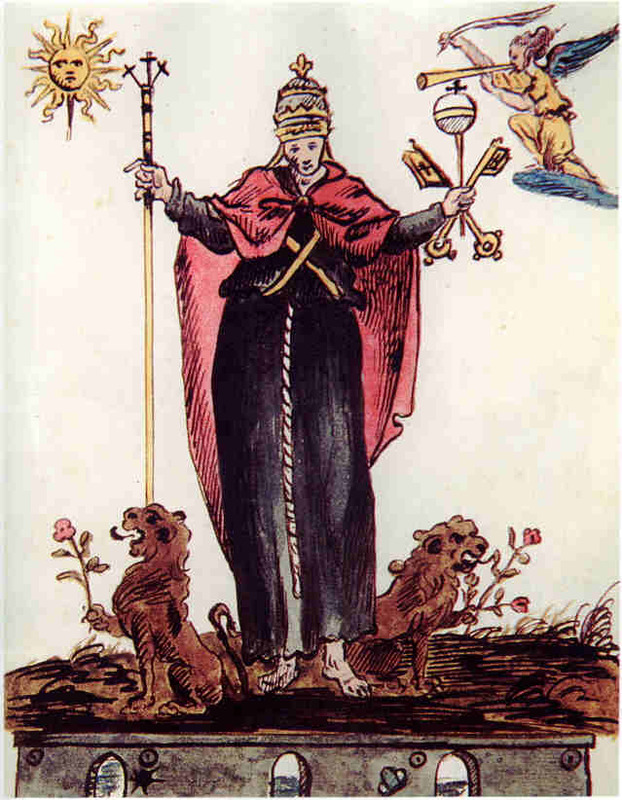 In this image : The Pope, the Sun, Angel blowing a trumpet, two lions holding roses, the keys to the kingdom, a staff with 3 crosses. 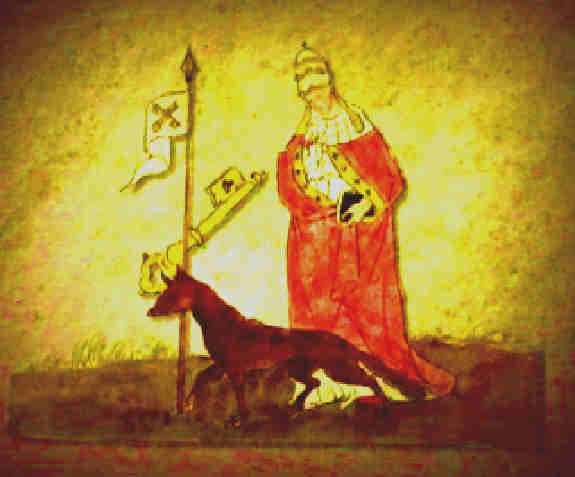 In this image : The Pope, the book of life, a wolf, the keys to heaven, a flag with the keys to the kingdom. 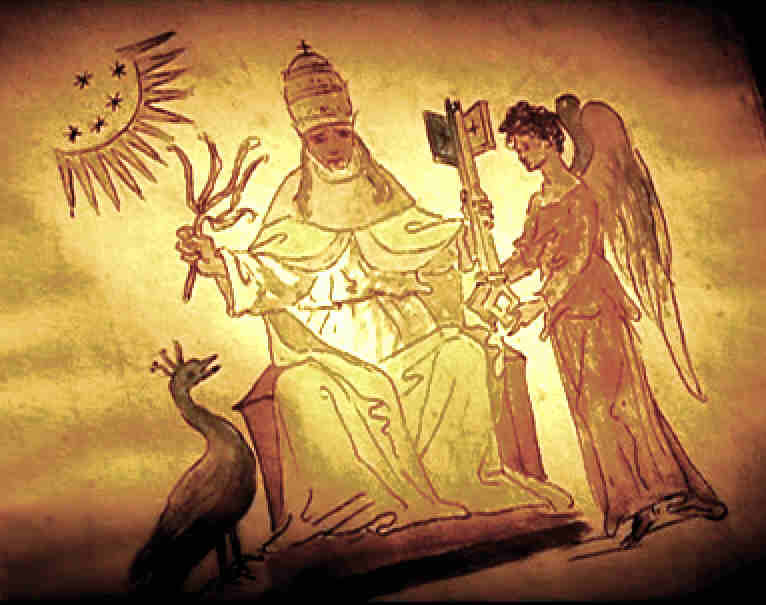 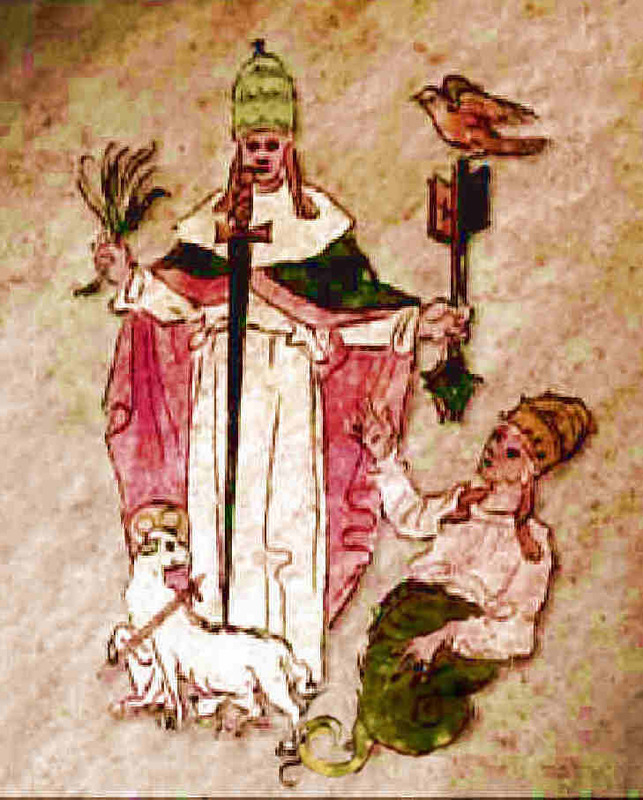 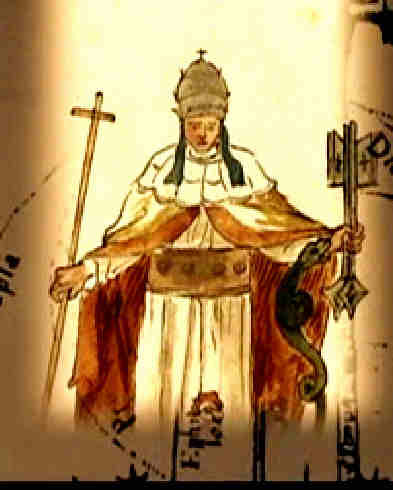 In this image : The Pope holding a branch, the keys to the Kingdom, a peacock, an angel, partial sun, 12 spikes and 5 stars.